The retail landscape has changed significantly over the past decades. With ‘season must-haves’, ‘fast fashion’ and ‘hottest trends’, it’s tempting to keep investing in new garments and forget about what we already have in our wardrobe. It is however becoming increasingly apparent that fast fashion comes at a cost to the environment, and the fashion industry is now the world’s second largest polluter behind oil. Whilst fashion trends come and go, Clothes Doctor believes that the sustainable fashion movement is here to stay, and we aren’t the only ones. Many celebrities and fashion designers alike have pledged to protect the environment, and have committed to fair and ethical trade, one garment at a time. We take a look at 5 inspirational women who are dedicated to changing the face of fashion. 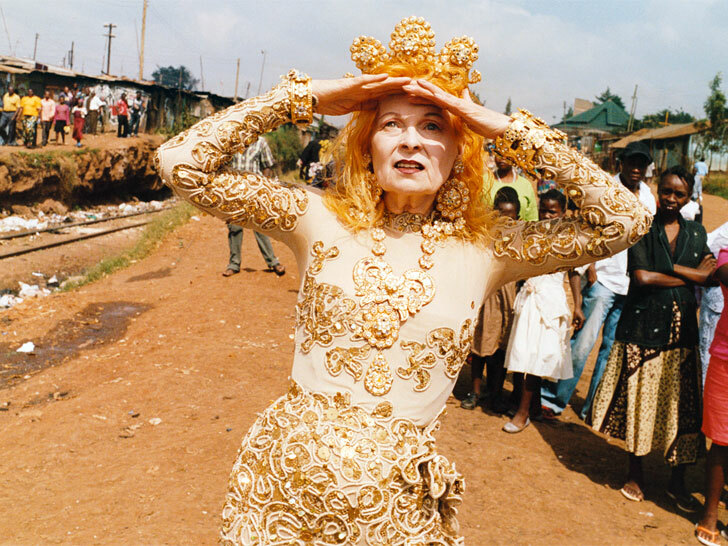 Vivienne advocates quality over quantity when it comes to fashion, and although she acknowledges that her clothes are expensive, she remains committed to producing long-lasting garments. One of Vivienne Westwood’s first encounters with eco-friendly fashion was when she worked with Richard Branson on a collection, in which sustainable materials were used throughout their designs. It would be impossible not to mention Emma Watson when it comes to eco-friendly fashion. Alongside championing female empowerment, Emma has taken a stand on environmental concerns surrounding the fashion industry. She claims that she’ll work for free with any clothing brands that are dedicated to Fairtrade, organic and ethical fashion. Emma believes in fair trade because it gives power to those in poverty whilst creating sustainable fashion. In 2015, Olivia worked with H&M on their Conscious Exclusive 2015 Collection to create clothing from recycled and organic materials. Olivia firmly believes that fashion can be simultaneously stylish and eco-friendly. Gwyneth Paltrow has definitely made her mark on sustainable fashion industry, collaborating with designers such as Stella McCartney and recently partnering with Amour Vert to create a line of eco-friendly shirts. Whilst the shirts are made from organic fabrics and low impact dyes, Gwyneth has also pledged to plant a tree for every shirt sold. Feeling inspired? At Clothes Doctor we are just as passionate about the planet as we are about clothing. Like these celebrities and designers we’re committed to preventing our worn items from ending up in landfill. If you’d like to join the Sustainable Fashion Movement, dig out your old favourites and reach out to see how we can rework and repair your favourite garments. We’re here to help you achieve a more sustainable lifestyle whilst looking your best.